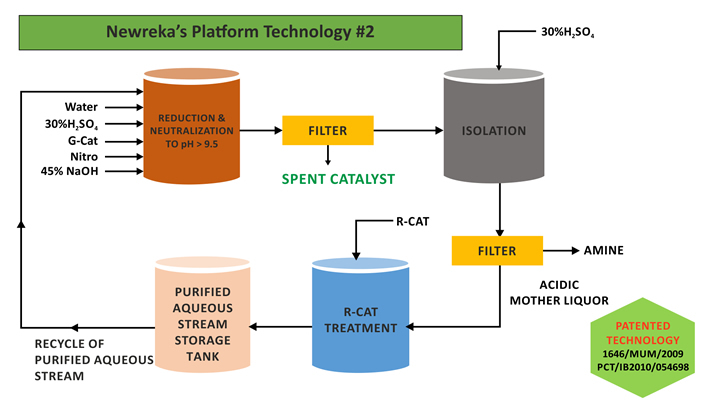 You may remember reading about Newreka’s Platform Technology #1. It is now time to discuss Platform Technology #2 for Nitro to Amine reduction. impurities. It is then recycled into the reaction vessel where it originally came from.